To make travel easier, Citi has unveiled its new Global Currency Account (GCA) – an all-in-one solution that allows users to hold international bank accounts, transact instantly for hassle-free travel, and make foreign exchange investments in real time. Last year alone, more than 11 million Australians packed their bags for overseas holidays – an average of nearly 1,500 jet setters every hour. While we enjoy exploring new terrain, not having easy access to local currency remains a common frustration for many – do you just take your credit card, or sign up for traveler’s cheques, or get a wad of money ready before you go? Ideal for investors, business executives and frequent travellers, the Global Currency Account lets account holders consolidate their foreign currency holdings in one place, with account details for up to 10 currencies. 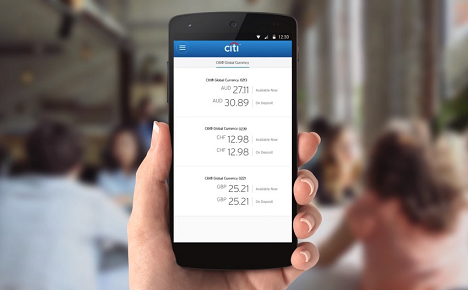 The currencies are linked directly to a Citibank debit card – meaning users can switch between currencies instantly via their mobile app and pay like a local with their card when travelling. There are zero ATM fees when using local currency. Currencies currently include the Australian Dollar, US Dollar, British Pound, Euro, Canadian Dollar, Hong Kong Dollar, Japanese Yen, New Zealand Dollar, Singapore Dollar and the Swiss Franc – and Citi says there is potential to expand the list based on customer demand. Citi’s clients have increasingly turned to global opportunities to diversify their portfolios and increase their level of returns in recent years. Only two years ago, Citi customers split their assets at a ratio of 36% international and 64% domestic. Today, this has reversed, with 61% international and 39% domestic investment. Citi’s Global Currency Account facilitates easy access to global investments, empowering investors to take advantage of favourable currency trends and see a consolidated view of all their currency holdings, in real time. Furthermore, it removes prohibitive foreign currency fees to enable more Australian investors to seek the benefits of diversifying their global portfolio, providing more security and control over their transactions. Citi offers competitive variable interest rates as high as 2.25 per cent for those investing more than AUD 250,000, and narrower foreign exchange spreads. “Australian investors face several challenges in generating local returns in 2018. Our housing market is challenged, the equity market is lagging behind offshore markets, the cash rate is low, and bond yields look more attractive in Europe and emerging markets,” said Citi’s Consumer Bank CEO, Alan Machet. “The Citi Global Currency Account is ideal for investors who are closely attuned to global events. Capitalising on growth opportunities that may not be apparent in Australia is made easy when you can swap currencies quickly and cost-effectively via the website or app.”.